Happy May, my friends! I am happy to say the sun is finally shining, and things are looking more and more spring like here in Wisconsin. 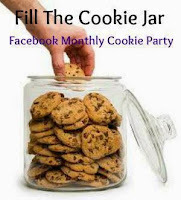 I missed out on last months Fill the Cookie Jar, and absolutely could not miss again. The theme for this month is Mother's Day. So, I was thinking about my mom and what cookie or bar she was famous for. Two came to mind that are what I would say were always "her bars", that my sister and I always looked forward to back in the day, and still do! 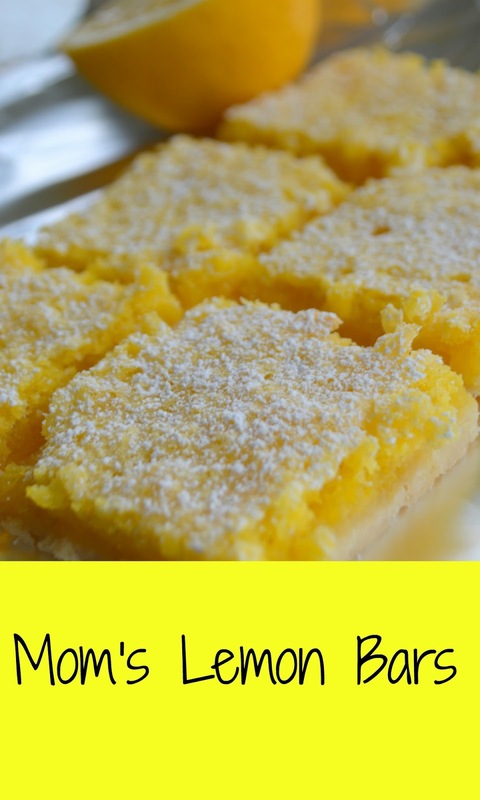 Mom's Lemon Bar recipe is what I decided to share with you today. She even had the recipe in our local church cookbook from 1975! Now, that being said, I have tweaked one aspect of my mom's recipe. I always loved this bar, but in today's world where bigger is better, I just need more filling in the bar! You can certainly make these to my mom's liking, which are completely delicious. But, I find with lemon bars, I just want more, so I keep her crust recipe as is, but I double the filling. Preheat oven to 300 degrees. Mix together butter, powdered sugar, and 1 cup of all-purpose flour. Press into 9x13 pan. Bake for 20 minutes. Meanwhile, in large bowl, mix together eggs and granulated sugar. Blend well. Add baking powder, 1/4 cup all-purpose flour, and lemon juice. Mix until completely combined. When crust is done. Remove from oven. Increase oven temperature to 350 degrees. Pour filling over baked crust. Bake for 25 minutes, or until set. Cool completely, lightly dust with powdered sugar. Store in airtight container for one to two days. Below are the other #FillTheCookieJar Bakers who baked delicious treats this Month. Stop by, say hello and pick up a new recipe or two. I miss the lemon bars! Buttery crust and sweet tang lemon filling...a heavenly combo! Those look so good! Wish you could deliver one (no, let's get real, THREE) of those right now! Yes, three would be just the right amount! 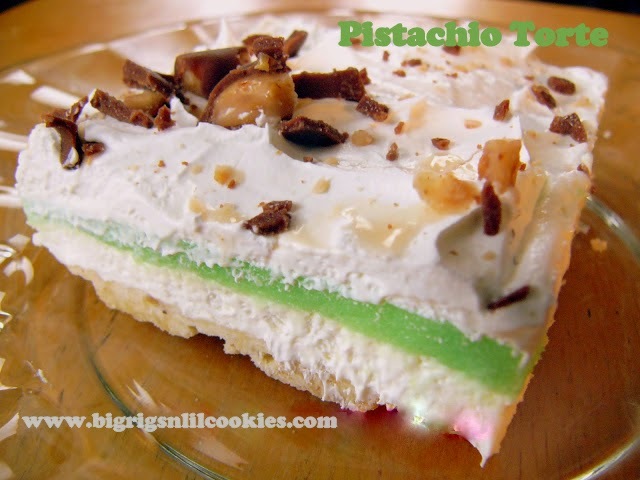 This is a delightful Mother's Day dessert. My mom loved all fresh fruits/berrys and lemons and I know she would love this Lemon Bar recipe. Happy Mother's Day! Thanks, Joanne! I'm hoping to make up a pan of your bars today! Oh yes, I am almost always for doubling the filling of almost anything! I haven't had a lemon bar in ages and the looks of yours has me craving some! haha! I know you would have my back on doubling the filling! Thanks, Jess! I am still craving the flavor, and need another pan! Pinned! We love lemon in this family! more filling, yes! recipes like these that are tried and true from way back are simply the best. great spring treat! I wish I had one for my coffee break, they look divine. Hi Kris, we love lemon bars, have not made them in ages. Will definitely try this recipe. I'm not a Mom but I want some! I'd love them either way! But I see where the difference is: Your mom was making a bar, a cookie. And what *you* really want is a piece of *pie*! :D But, like I said, either way is fine with me!